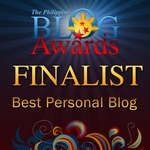 I’ve blogged about Solenn Heussaff a couple of times. I just love this girl! Just two months ago, the French-Filipina celebrity launched her sophomore album entitled ‘SOS’ or ‘Sinner Or Saint’. Her first album was a success. I was even invited on the music video shoot for the song ‘Our First Time’. Her kindness and jolly personality stuck on my mind. Who wouldn’t want to support her anyway? Is Solenn Heussaff a Sinner or Saint? I bought a digital copy of SOS via iTunes. I listened to the preview snippets and I loved it! SOS contains 10 original tracks and 2 revivals. Boy band fanatics have the reason to dance with her own version of Backstreet Boys’ “All I Have to Gove” and Justin Timberlake’s “Cry Me a River”. The carrier single from the album is entitled “Diva”. It is a tagalog song about a female celebrity who acts as if she’s the most important woman in the world. The music video is quite queer and colorful! Another song with a twist is “Never Met a Man”, which Solenn co-wrote. I love Alessandra de Rossi. I guess that is already obvious. I used to write about her and her sister Assunta in my old personal blog. I just admire her guts and talent. With Alex, it’s either you love her or hate her. On television, she is one of the favorite antagonists. We’ve seen her as Valentina in DARNA with Angel Locsin playing the title role. When she moved to ABS-CBN, she appeared in several teleseryes and gained more fans. She transfered back to GMA-7 last year to do ‘Sinner or Saint’ with Dennis Trillo and Bianca King. Early this year, she played the role of Bernadette in Legacy with Heart Evangelista and Lovi Poe. The three of them were competing half sisters in the show, but they gained true friendship offcam. I miss their trio, to be honest. Somebody produce a movie for them! Five years ago, she appeared on the cover of FHM and released her own version of the classic song ‘Sailing’. Her dream of becoming a mermaid came true in that music video. With her switching TV networks and continuously making mainstream and indie films, Alessandra would compose her own materials with the help of some friends. Five years in the making and almost giving up, Alessandra de Rossi’s ‘ADRIFT‘ is now out online! The best thing there is you can download the whole album for free. Among the Filipino celebrities that are active on Twitter, Alex is one of the most loved due to her funny yet striking tweets. It will make you laugh, cry and think. Chos. Add the fact that her sister Assunta and lovable mom Tita Nenita @ermatsko chats with fans too. For the past years, Alex had been uploading some demo tracks which kept most of her followers craving for more music. I took the opportunity to send her a message via Twitter if I can send her some questions related to the album last August. I’m glad she replied and answered my queries. I love her!